Almost four months into 2014 and no new list so i took the liberty of starting once since ive been to the track a few times already....I will do my best to keep this updated. Following same format as last year! Please make sure to post timeslip and your information in the following format!! Last edited by 1gturbo; Dec 17, 2014 at 01:19 PM. some fast times for stock turbos! 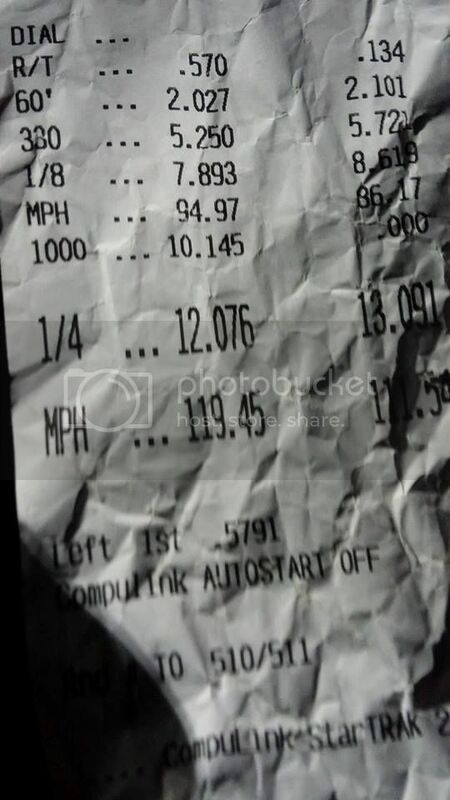 I did a 12.3 at Bradenton IFO back in January. 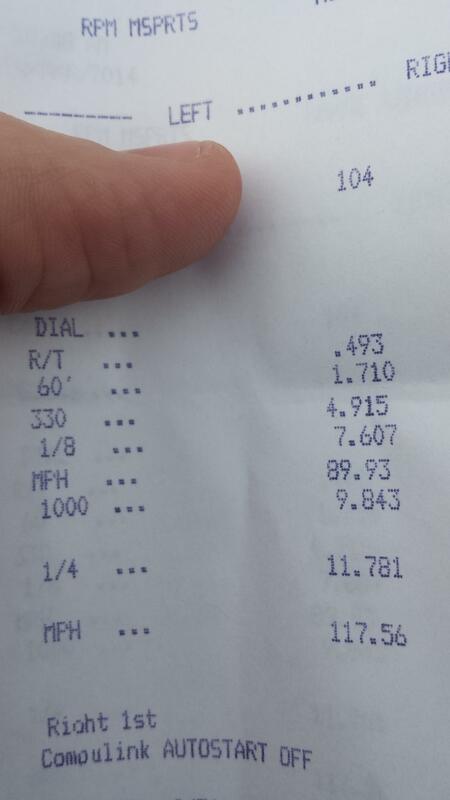 Hadn't posted, been trying to get 11s on stock turbo, full weight and 93 pump just for fun. 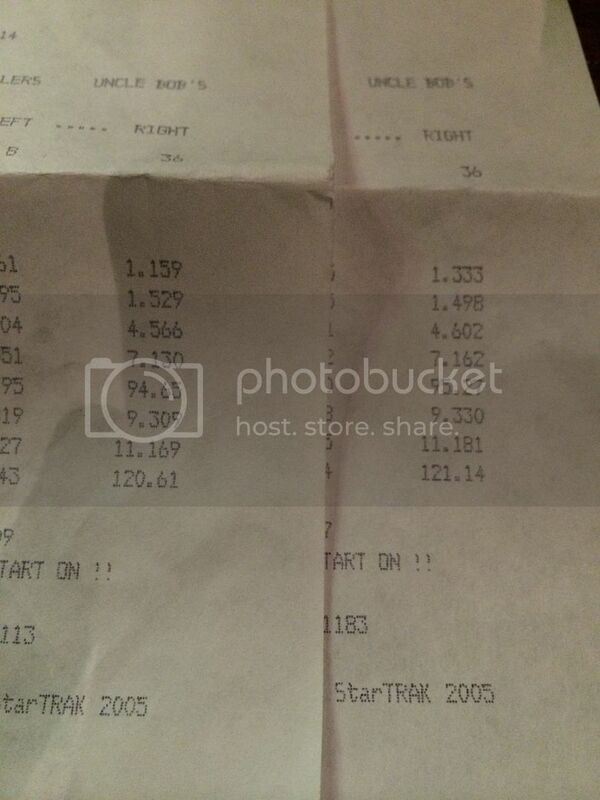 Back in February for my first time out i ran a 12.07 @ 119.45 MPH. damn man, impressive 1/8th and 1/4 MPH for sure. sounds like it was great conditions. updated. Yeah the only bad thing was my 60' time lol. Once i improve the launch i hope to hit a mid 11. Last edited by 05OrangeSS; Jun 23, 2014 at 10:25 AM. is this car gutted? not normal to say "I hope to hit a mid 11" with a stock turbo stock cam and stock IC....that's big MPH for a (assumed) 330-340ish whp car, what boost and injector? what were your hp/tq numbers? With only a 1.9 60' I've got some room to shoot for 12s as the car sits, and will be doing so before the end of the year. I am on basic bolt ons and E85. Car put down 393whp/383wtq last November. Car is tuned at 28 psi but right now its peaking 27 and holding 26 and i have FIC 1120cc injectors. I now have a Buschur FMIC to add to the list as well. roger that. do you have head work and cams? only reason I ask is your specified "stock block" originally. manifold? reason I ask is my car did 388/360 at 25 psi on E with cams and intercooler on a mustang dyno, and did 120mph last fall. sounds like your numbers may be mustang dyno too. I always like to ask about other cars similar to mine. 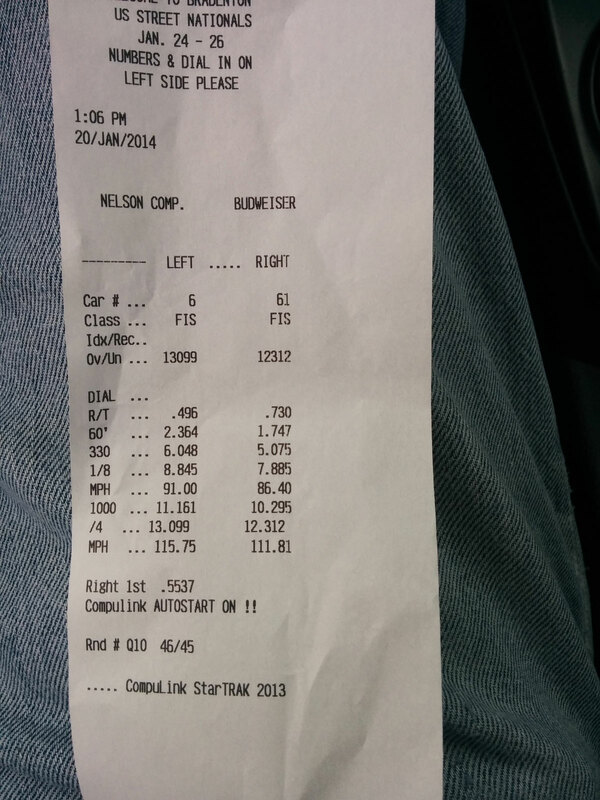 shave 2-4 tenths off your 60 and you will for sure be mid 11s. good luck sir.